Since graduating from Temple University School of Law in 1992, Mr. Neiman has practiced solely in the areas of workers' compensation, social security disability, and related state and federal disability law. This was further limited to just workers' compensation matters in 2004. In addition to Pennsylvania licensure, Mr. Neiman is also licensed to practice in the state courts of New Jersey, and is admitted to practice in Federal District Courts in both states. On various occasions, Mr. Neiman has been a speaker at public information seminars, as well as seminars sponsored by The Bucks County Bar Association and National Business Institute, on workers' compensation topics. Mr. Neiman has also participated in The People's Law School curriculum, teaching a class on workers' compensation. 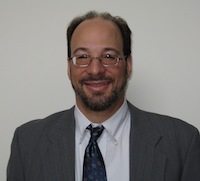 Additionally, Mr. Neiman has presented courses for LawLine.com, a prestigious legal education provider. The most recent seminar was performed for the Bucks County Bar Association in December 2017 on the interaction between PA Workers' Compensation benefits and Heart & Lung Act benefits. Mr. Neiman is an active member of the Bucks County, Lehigh County, Philadelphia and Pennsylvania Bar Associations, having served as Co-Chair of the Workers' Compensation Section of the Bucks County Bar Association. Away from the office, Mr. Neiman served as President of the homeowners' association of a 400-residence development for eight years. In 2013, Mr. Neiman was among the first attorneys in Pennsylvania to be Certified as a Specialist in the Practice of Workers' Compensation Law by the Pennsylvania Bar Association's Section on Workers' Compensation Law as authorized by the Pennsylvania Supreme Court.